Whether you need to purchase new hydraulic power units in Anaheim CA, or get your existing unit serviced or repaired, come to Bernell Hydraulics for expert assistance. We are committed to satisfying every customer in a timely fashion, and we’ll help you get your hydraulic equipment running and make sure it stays that way. 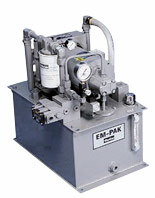 If our in-stock power units don’t meet your needs, we can place a special order for you or even create a custom unit. Feel free to ask us for help whenever you have questions about your hydraulic power unit’s performance. We offer 24 hours on site repairs and service, so you can get the help you need right away. Plus, we can provide preventative maintenance like hose replacement, filter cleaning, and fluid flushes. Remember, your hydraulic power unit is the heart of your system, so don’t neglect to get it the attention it deserves.